The ultrasonic measuring station seca 286 dp transmits fully automated height and weight measurements to your existing printer. Thanks to the advanced 360° wireless technology and software module seca directprint, your patient receives a personalized printout outlining their nutritional condition based on their BMI. The printout provides valuable insight and practical tips on nutrition, maintaining a healthy lifestyle and information regarding energy expenditure during various physical activities. Empower patients to discuss their weight and motivate them to tackle the subject. Thanks to the included seca 360 wireless USB adapter seca 456 and the software module seca directprint the installation can be done immediately. 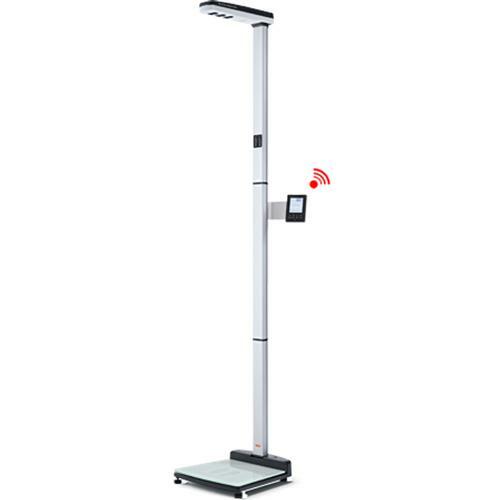 Once the patients height and weight are measured, an automatic printout is generated outlining their nutritional condition based on their BMI. Network compatibility provided by seca 360 wireless technology.